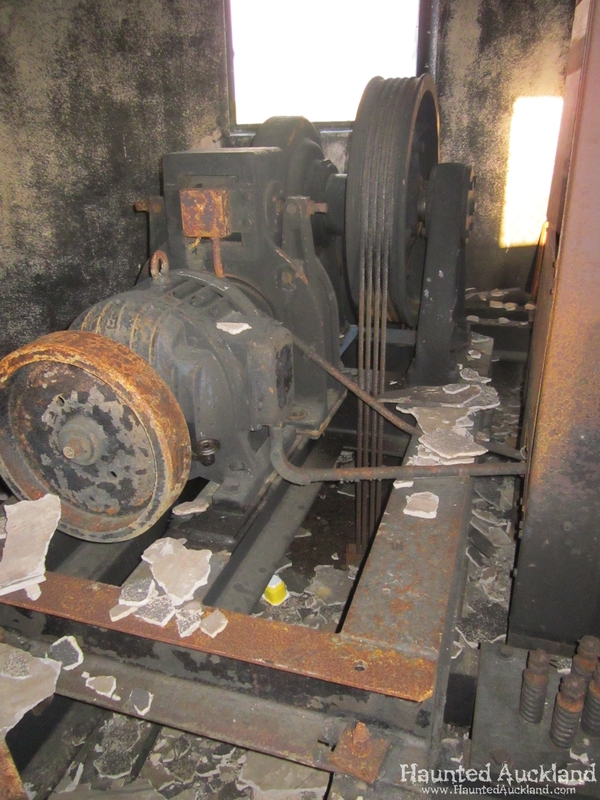 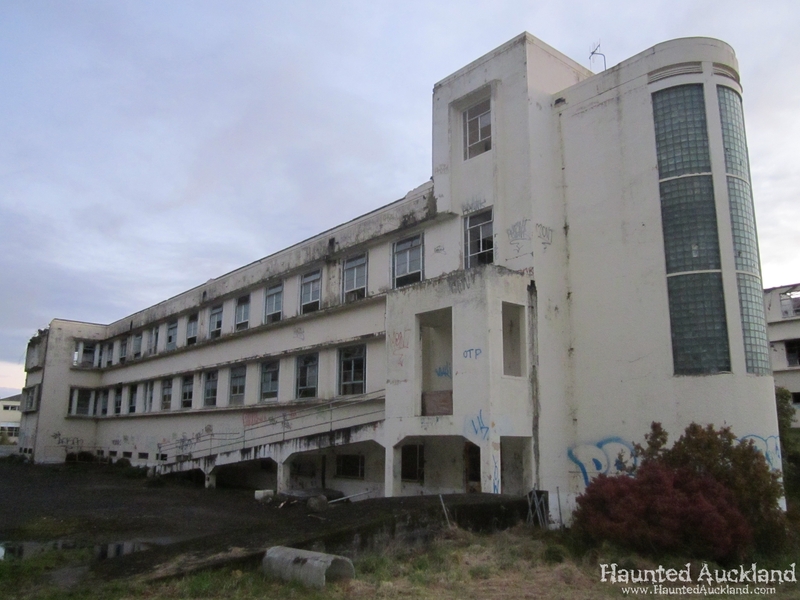 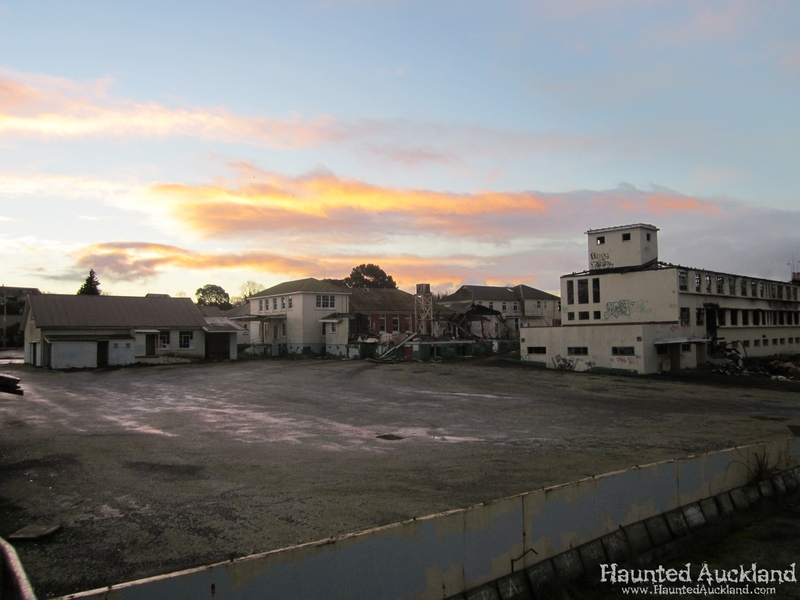 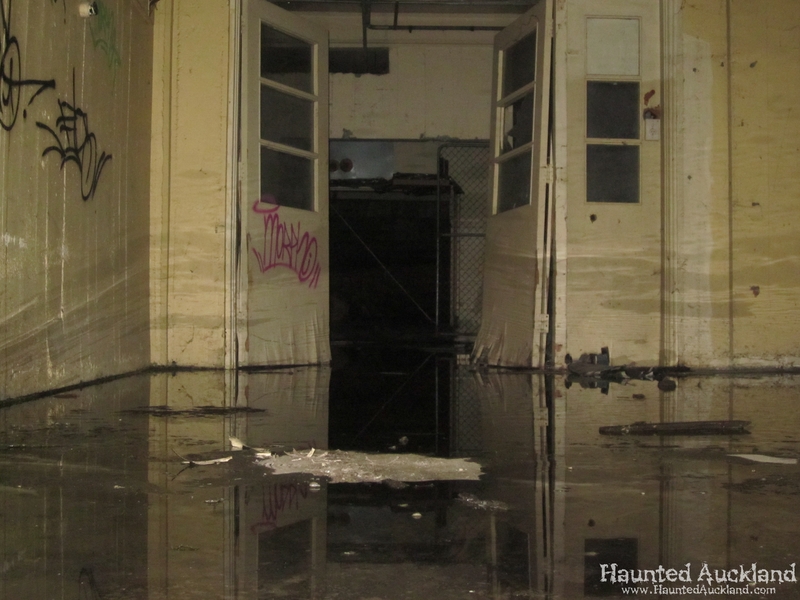 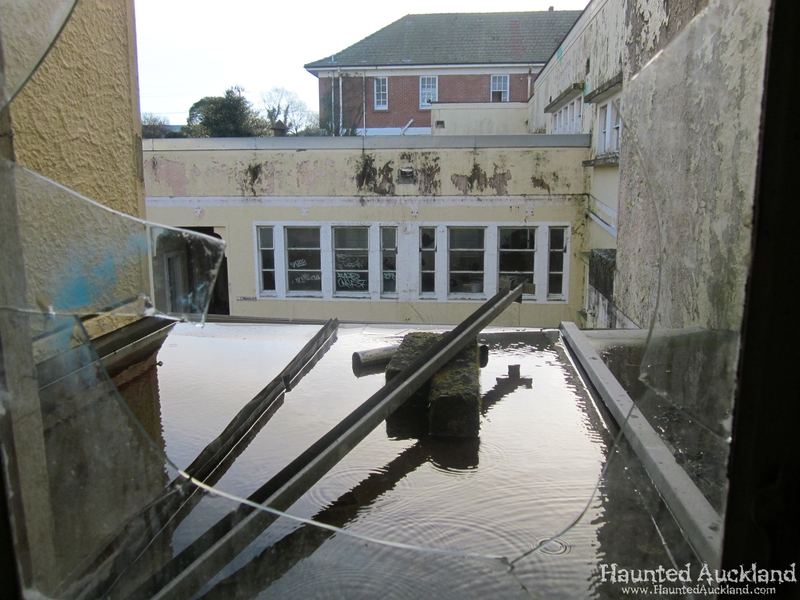 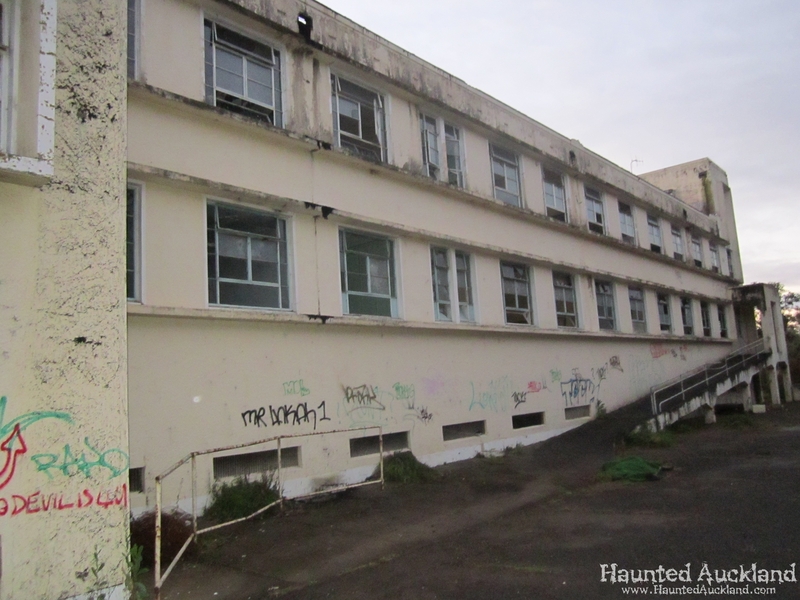 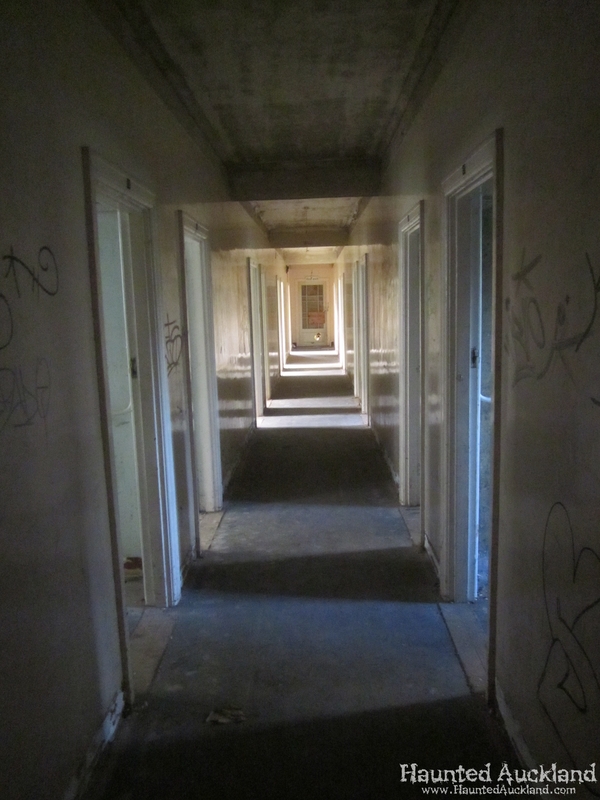 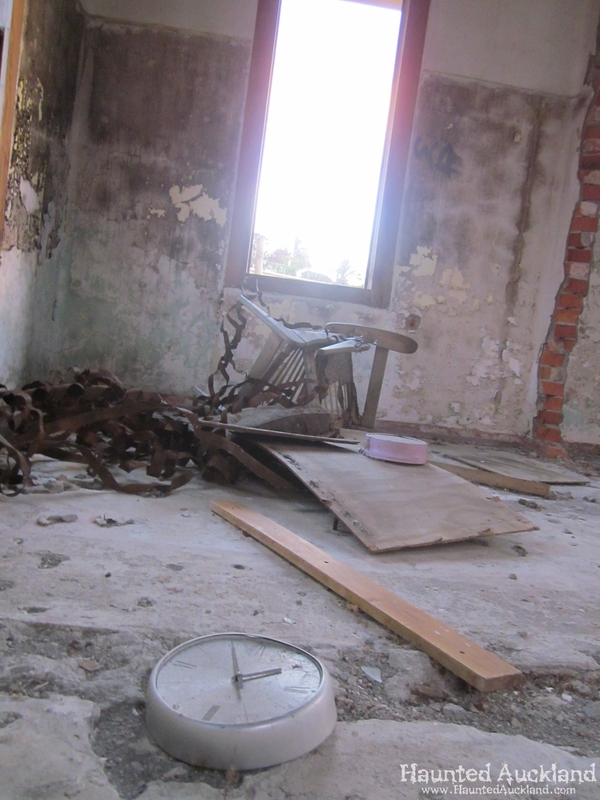 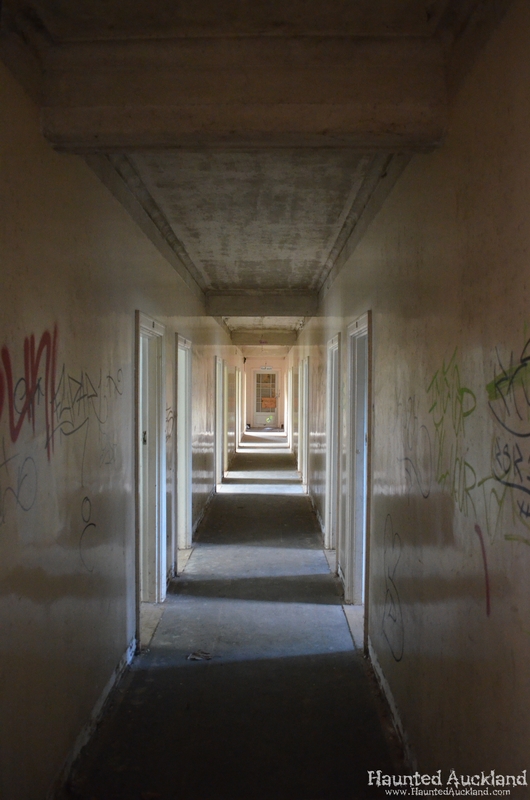 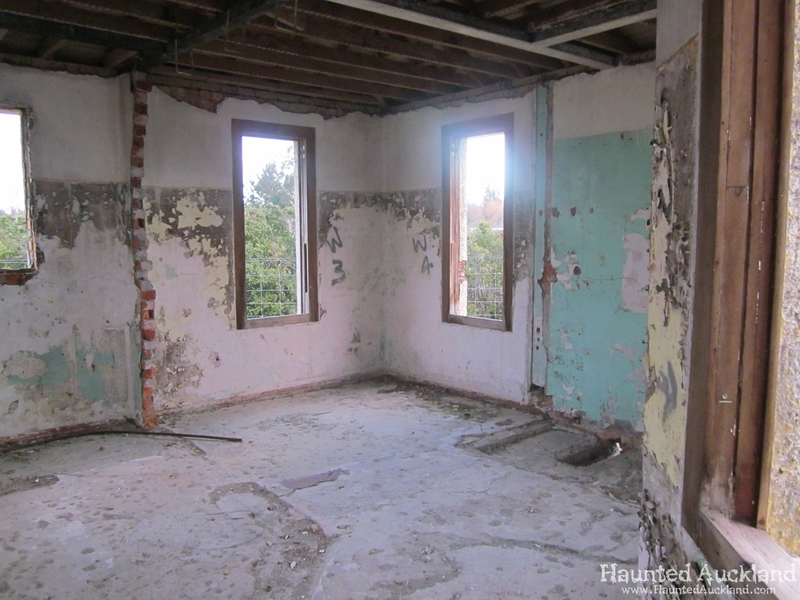 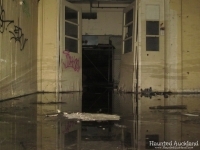 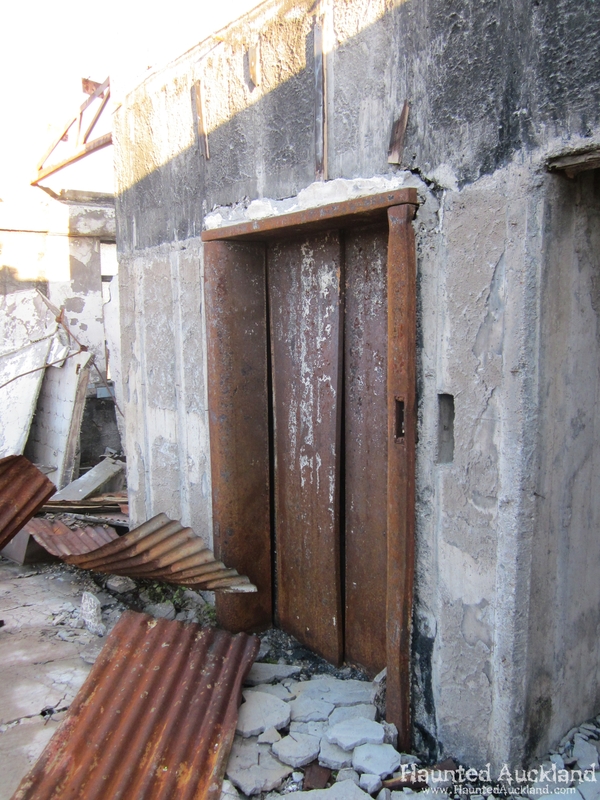 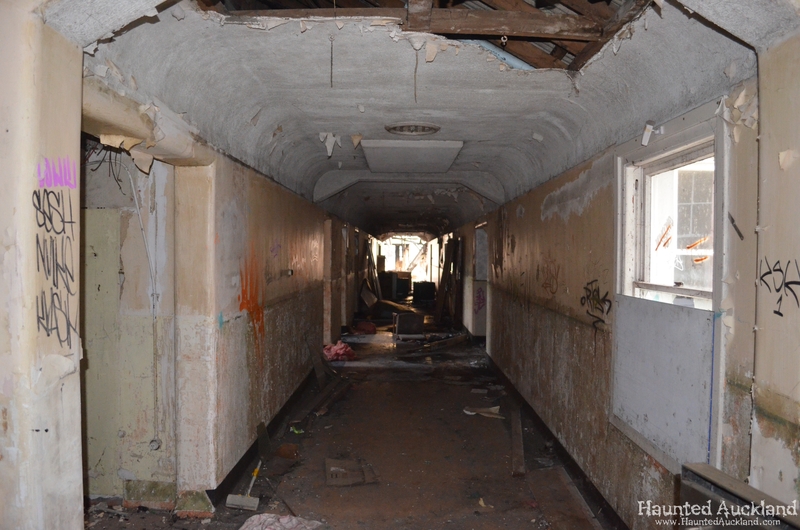 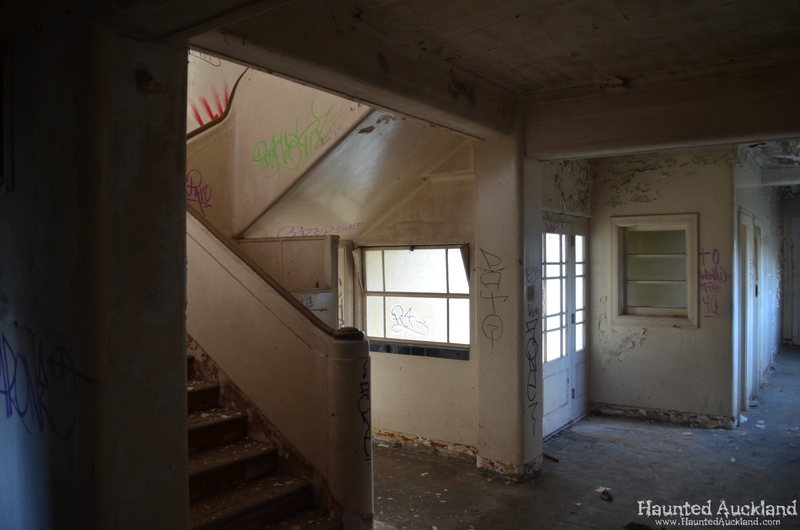 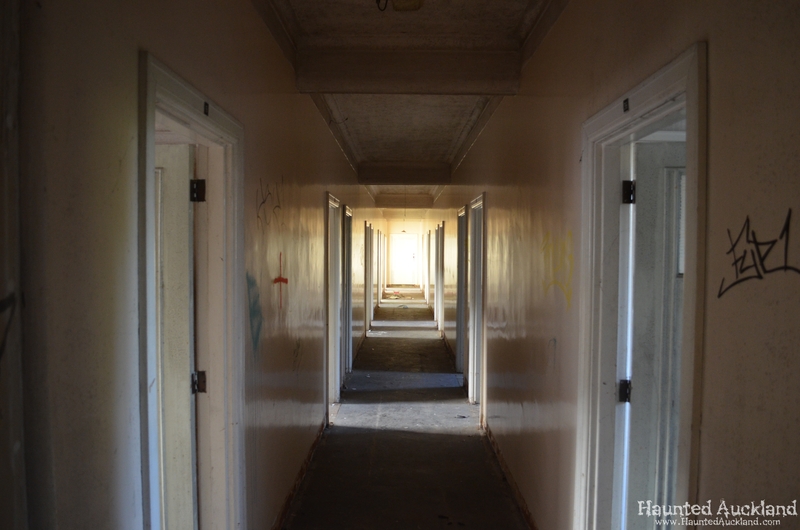 Haunted Auckland gains special access to the former Waipukurau Hospital. 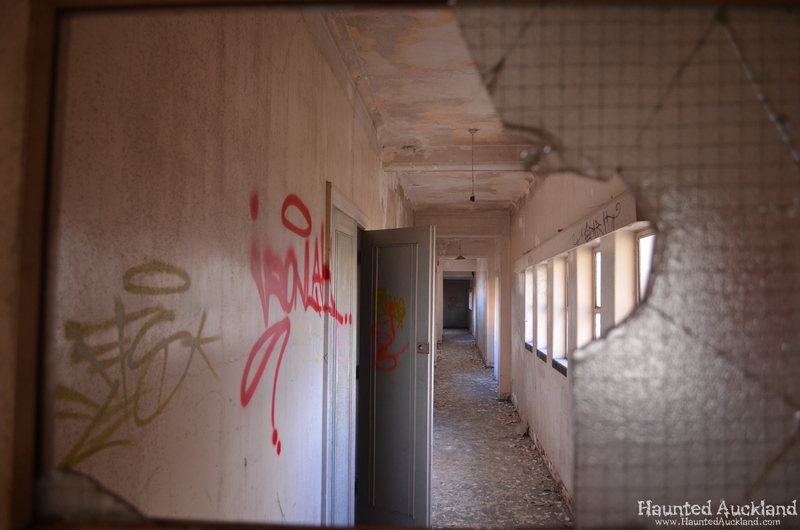 Join us on a photographic tour of the various wards and buildings in this iconic, yet derelict infirmary. 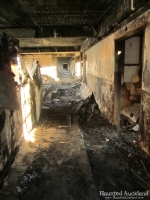 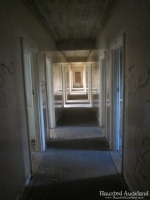 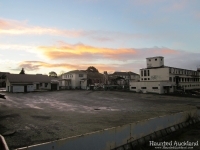 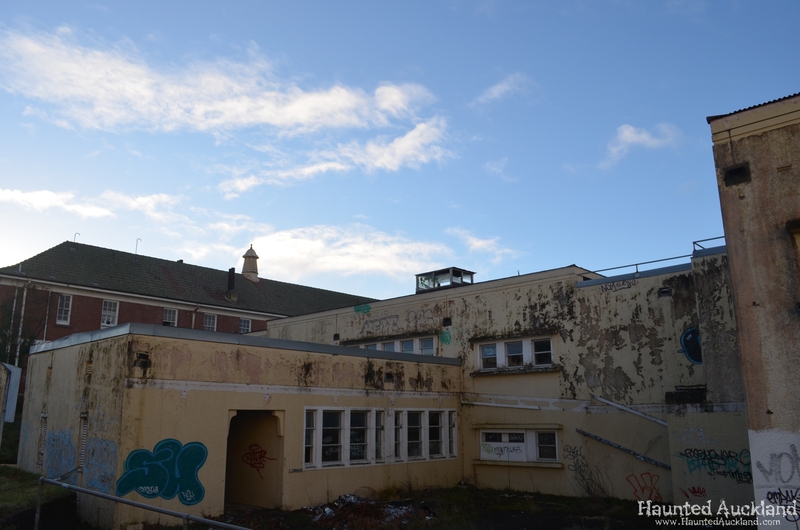 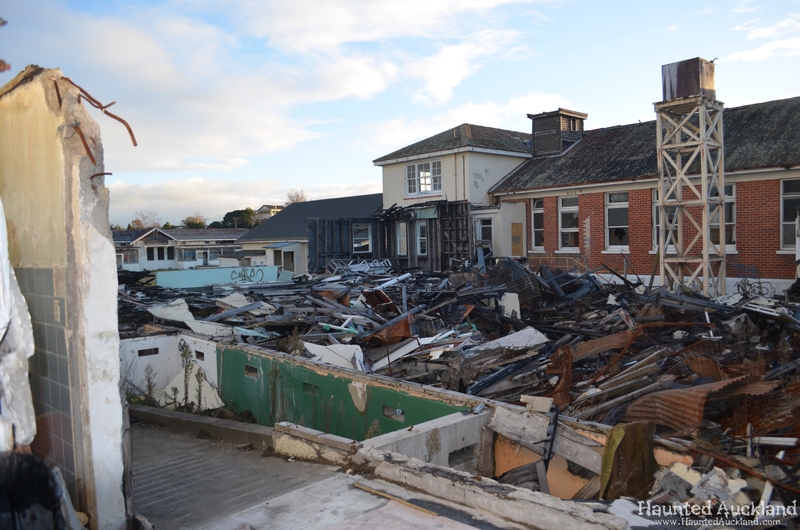 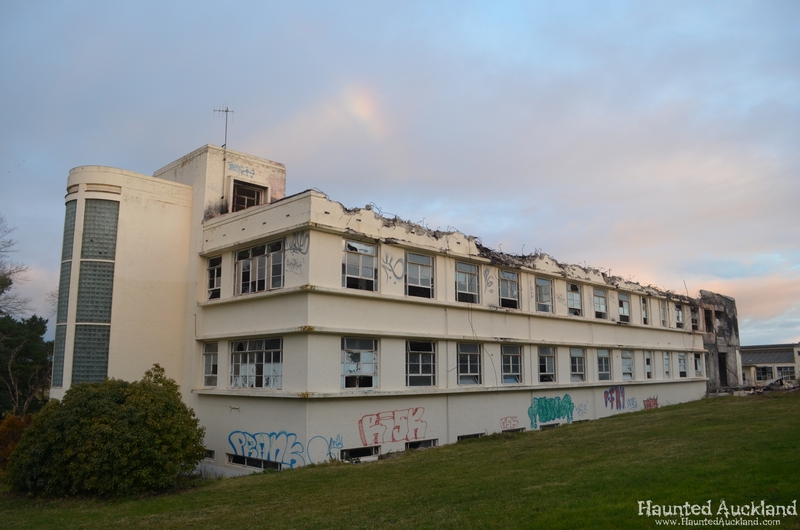 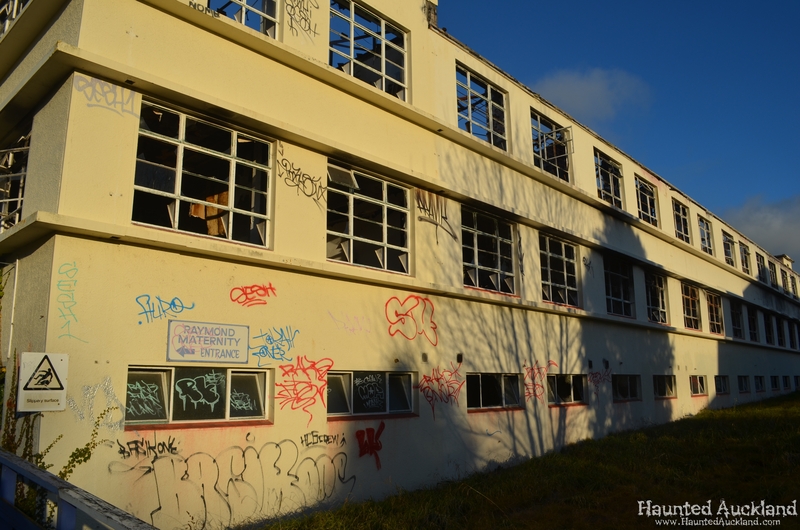 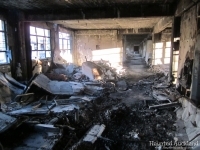 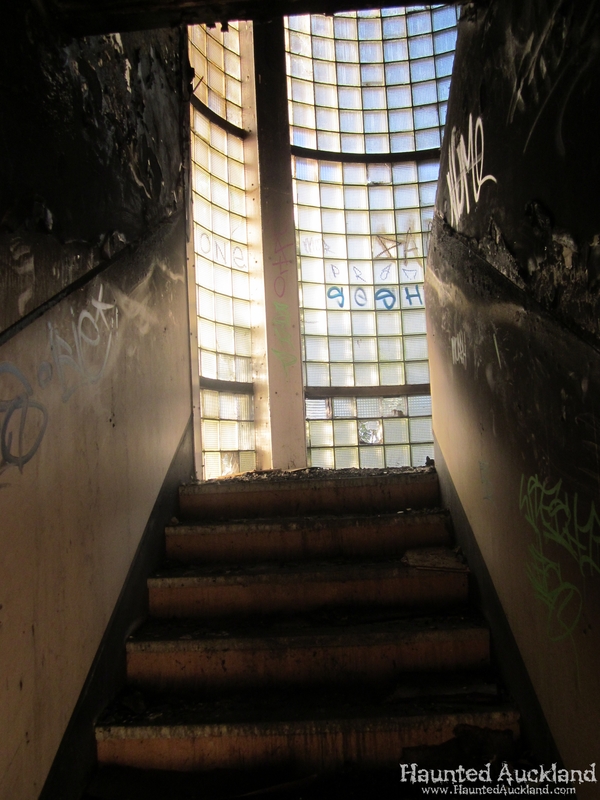 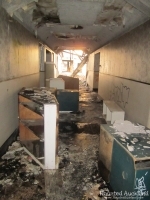 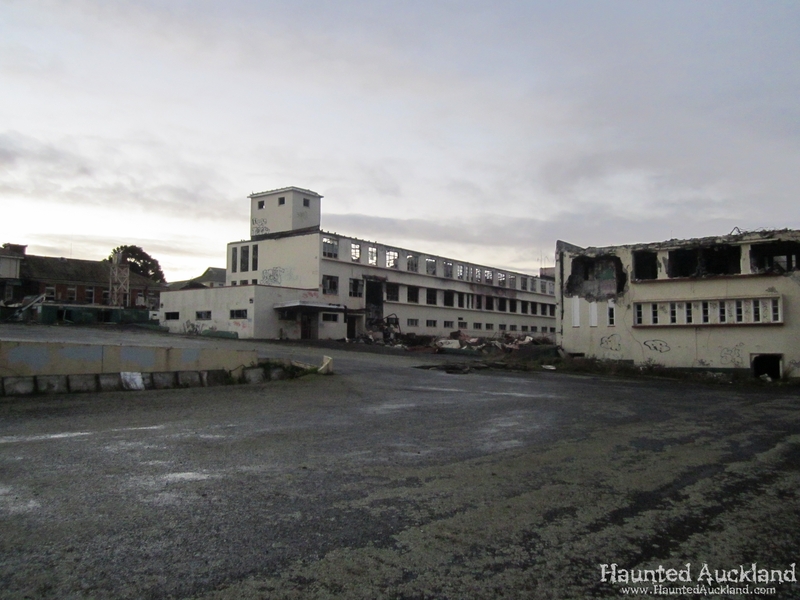 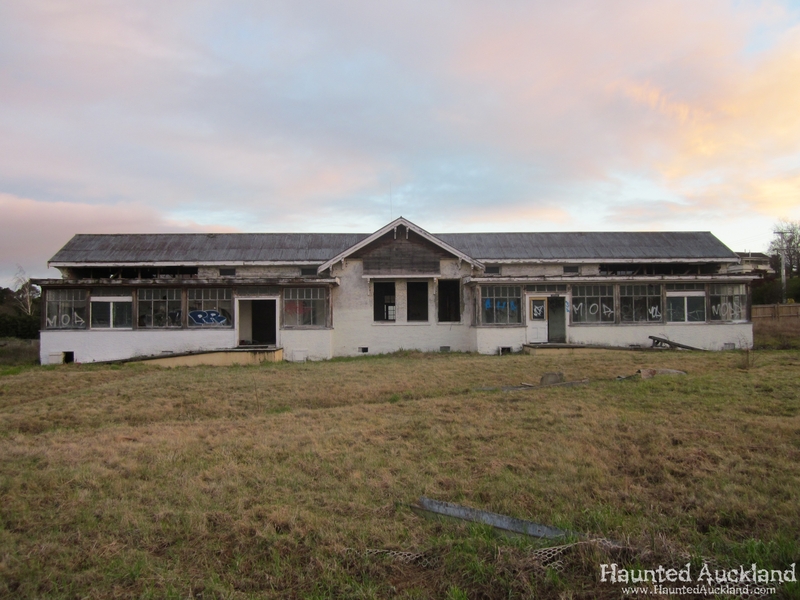 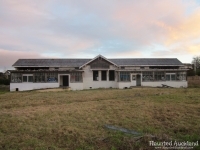 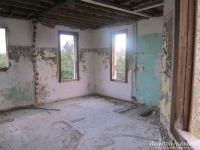 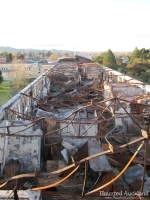 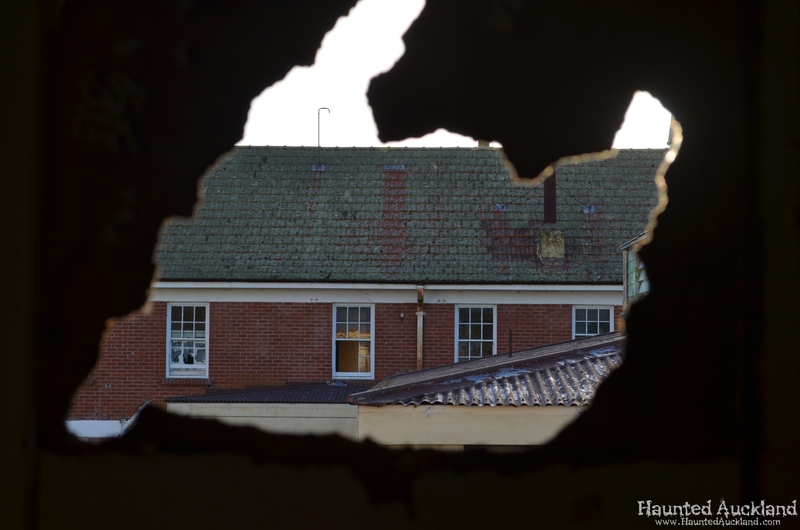 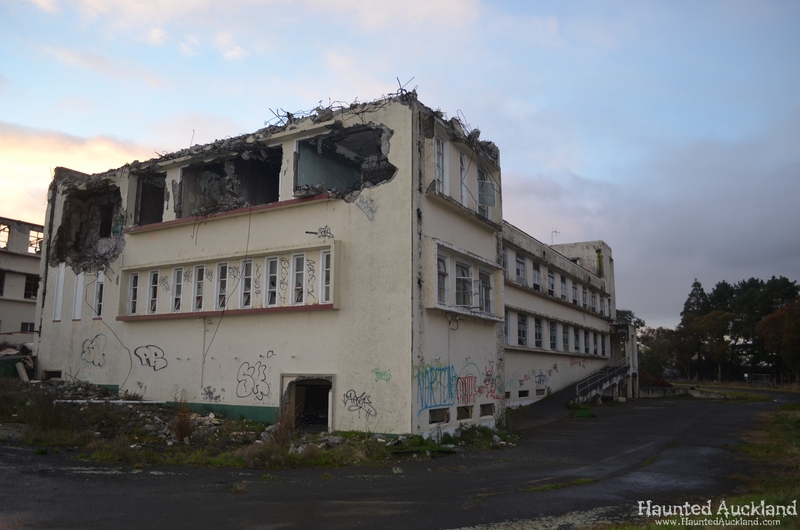 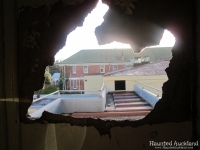 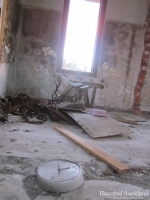 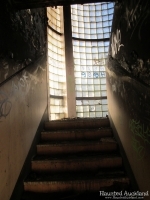 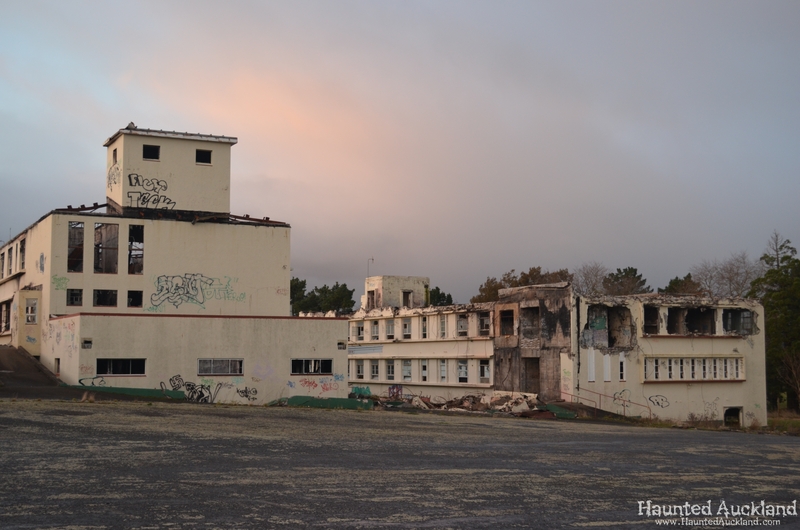 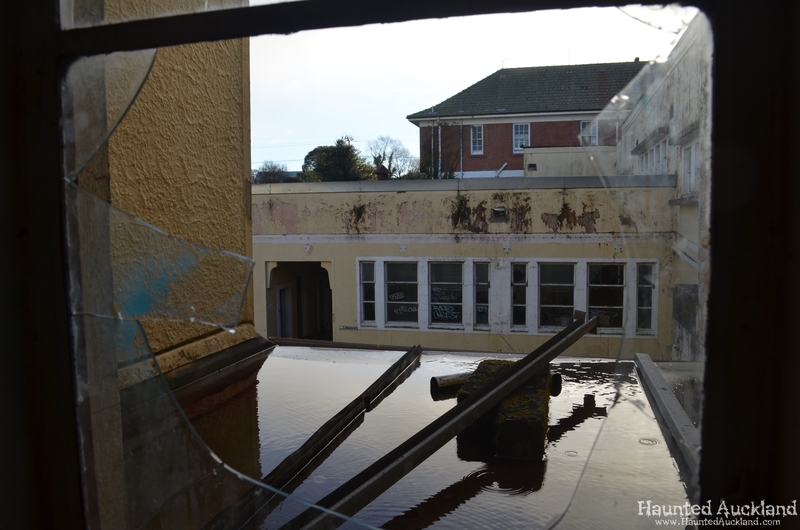 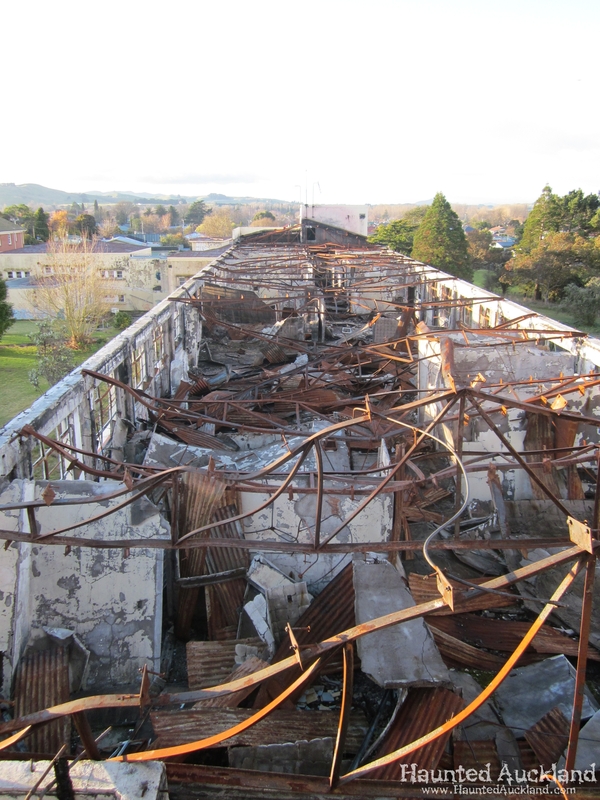 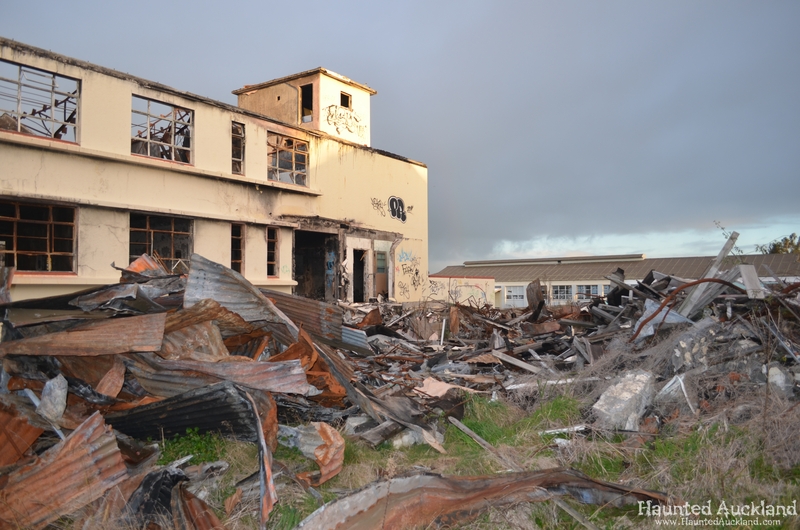 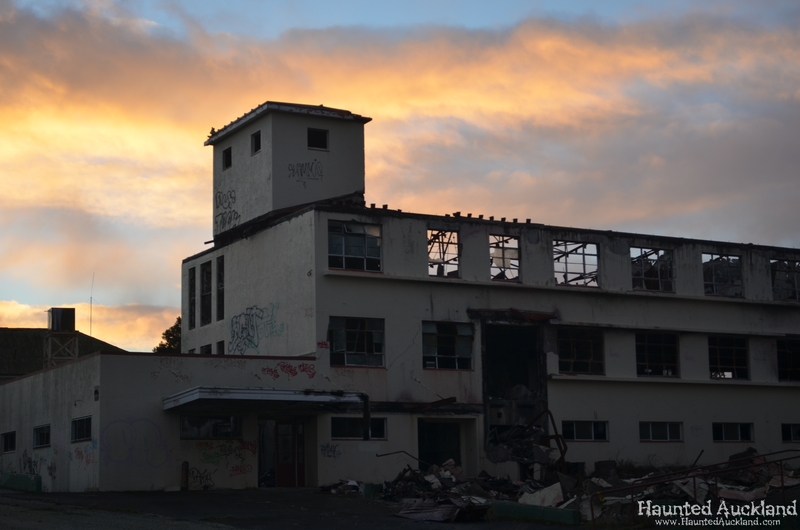 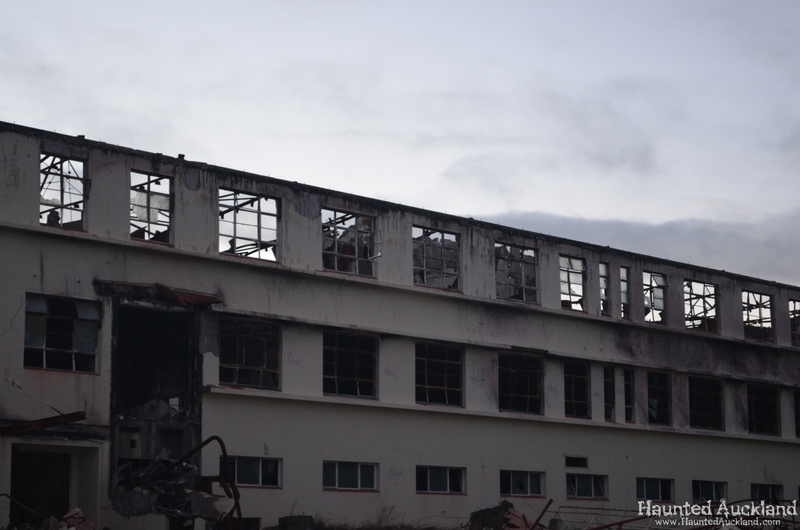 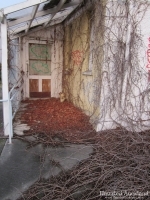 The former Waipukurau Hospital in Hawke’s Bay has been abandoned for several years and was a popular haunt for local teenagers and vagrants until a major fire in 2010 gutted several buildings. 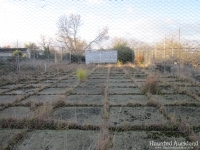 The property is now closed to the public and heavily fenced off for safety and security reasons, by the local council to deter trespassers. 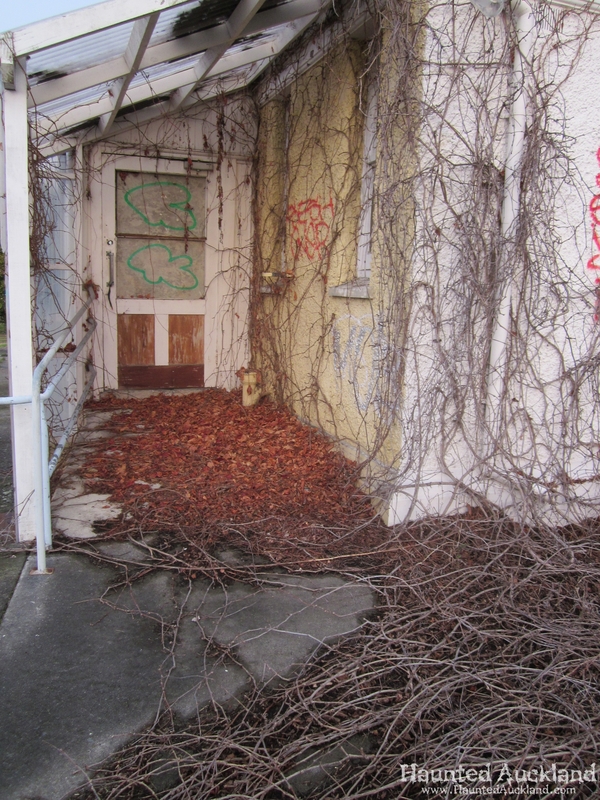 A guard dog also patrols the area. 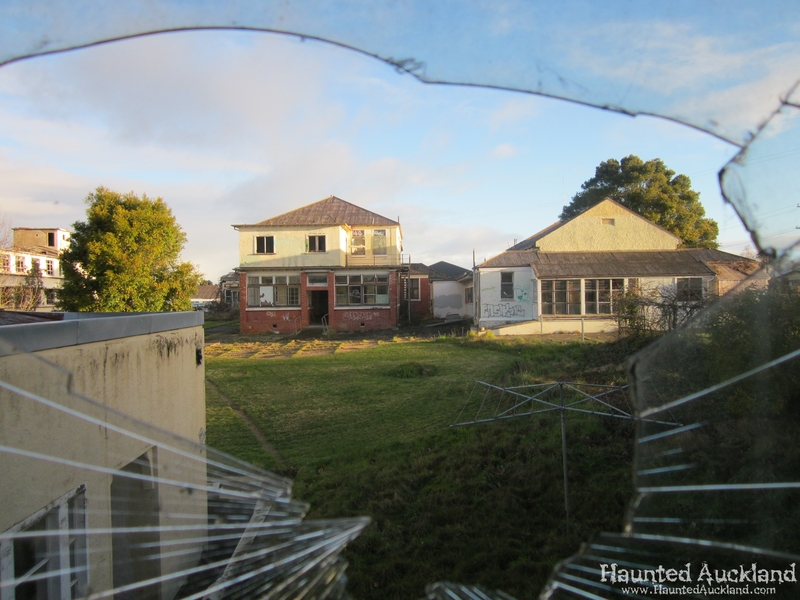 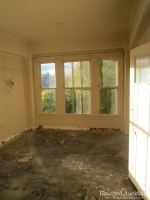 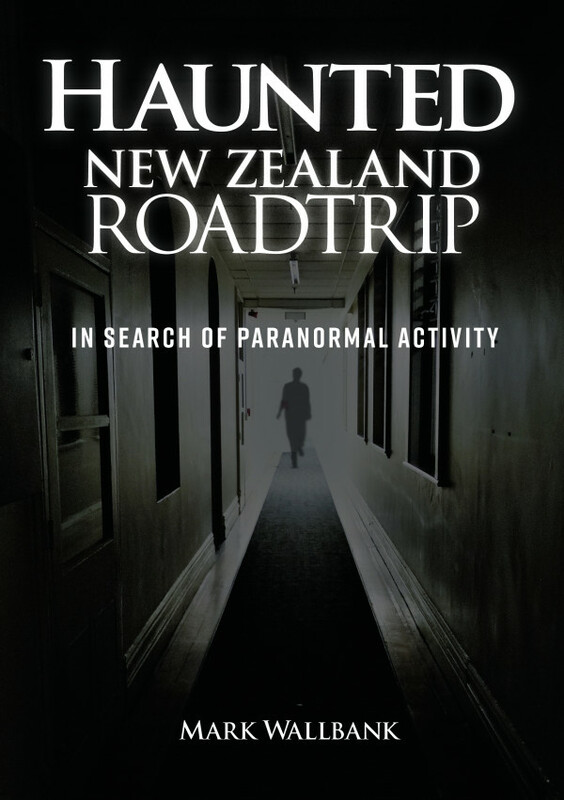 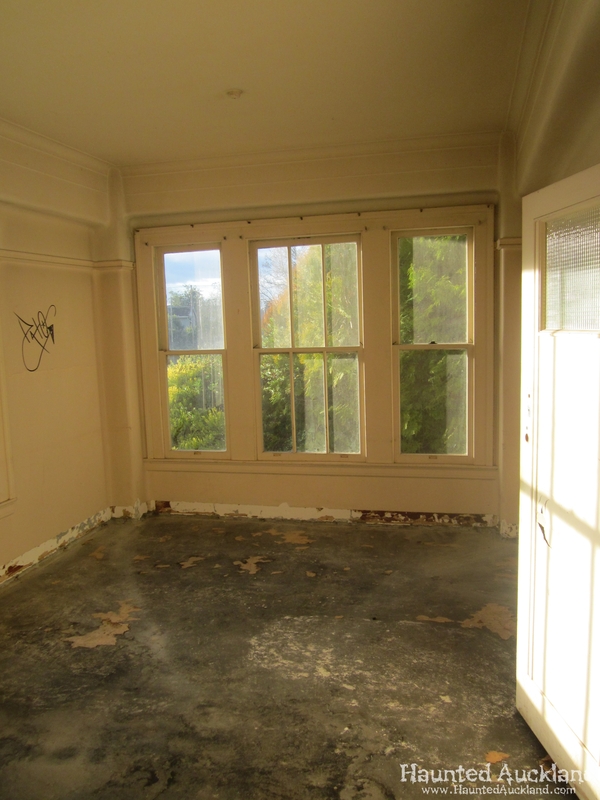 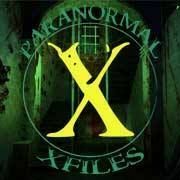 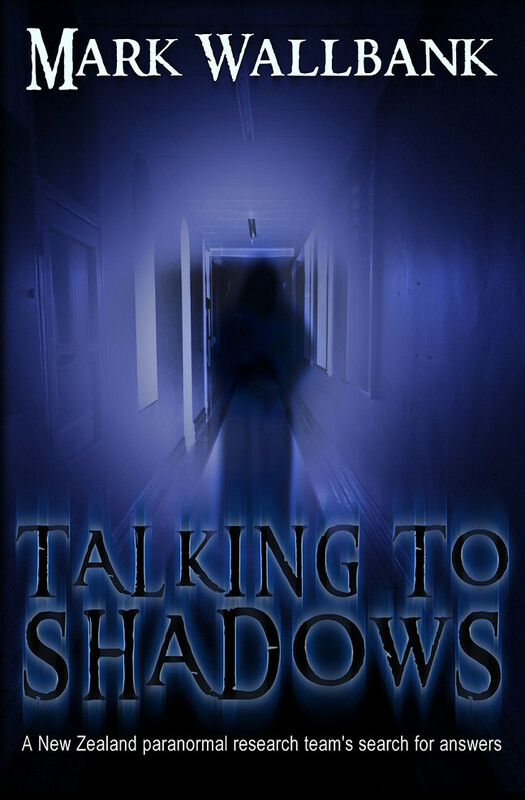 However Haunted Auckland was lucky enough to gain permission to enter the property to document and investigate in June 2012. 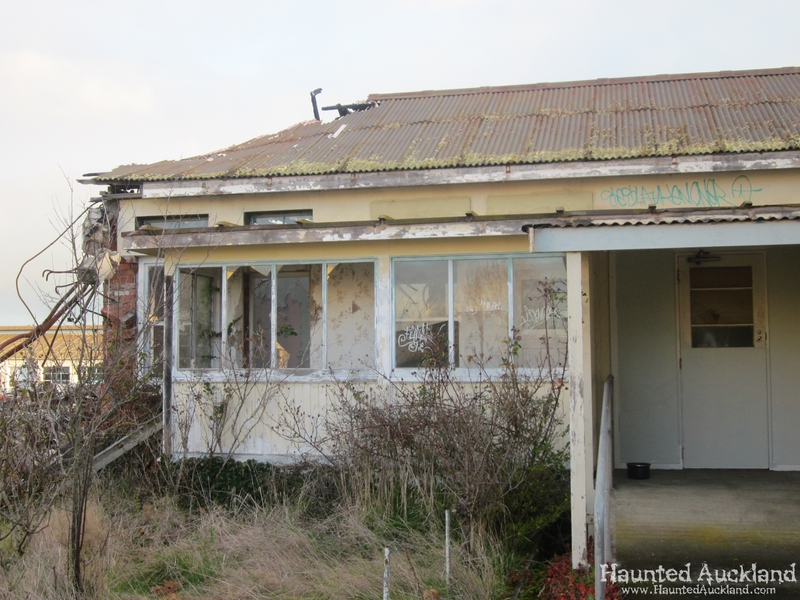 The Government donated 5 acres of land in 1876 and agreed to a pound for pound subsidy to build Waipukurau Hospital. The hospital was completed in 1879 and the first patients were admitted. 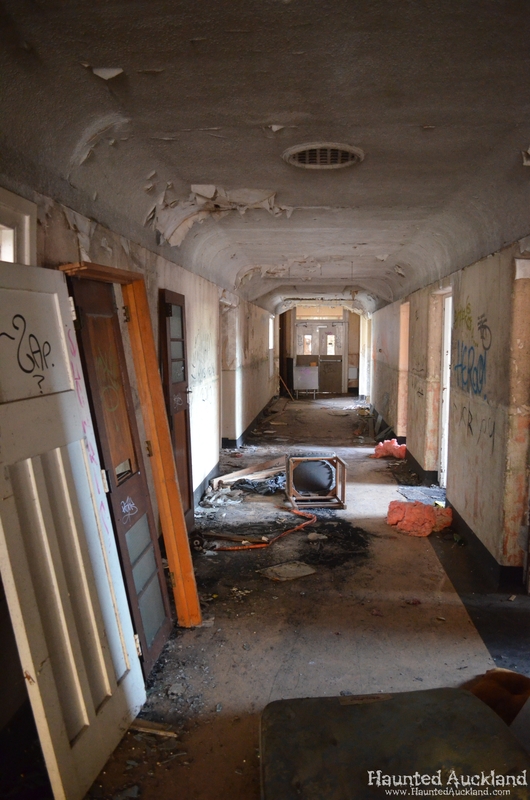 The complex consisted of two wings – the male and female wards, as well as four other rooms to house staff. 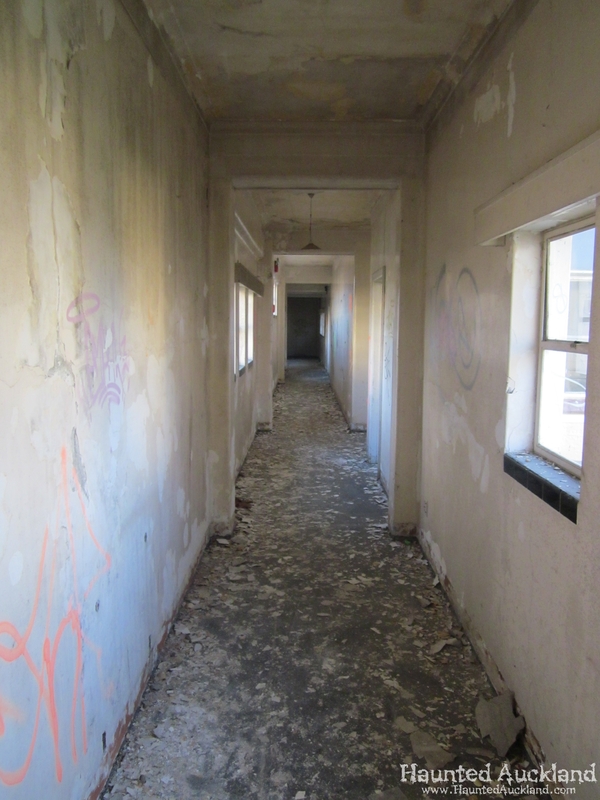 In addition there was a dispensary, a committee room, dining room for convalescent patients and a kitchen. 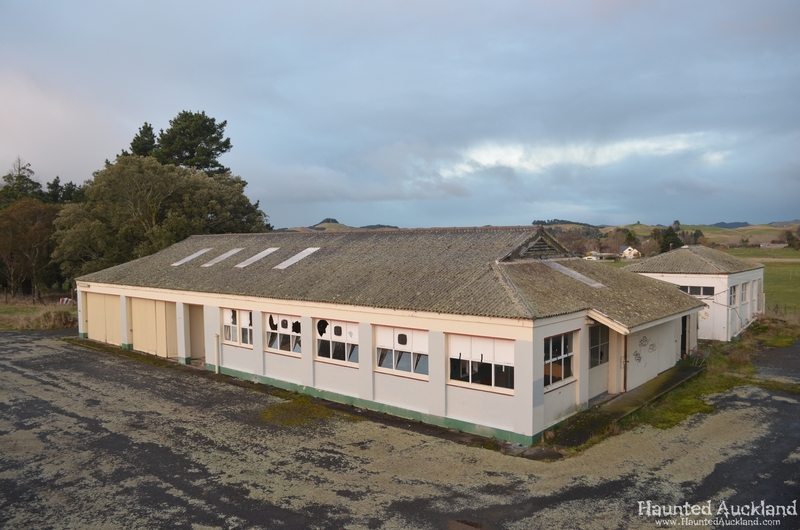 In the beginning, up until 1907 the hospital was also called Waipawa County Hospital. 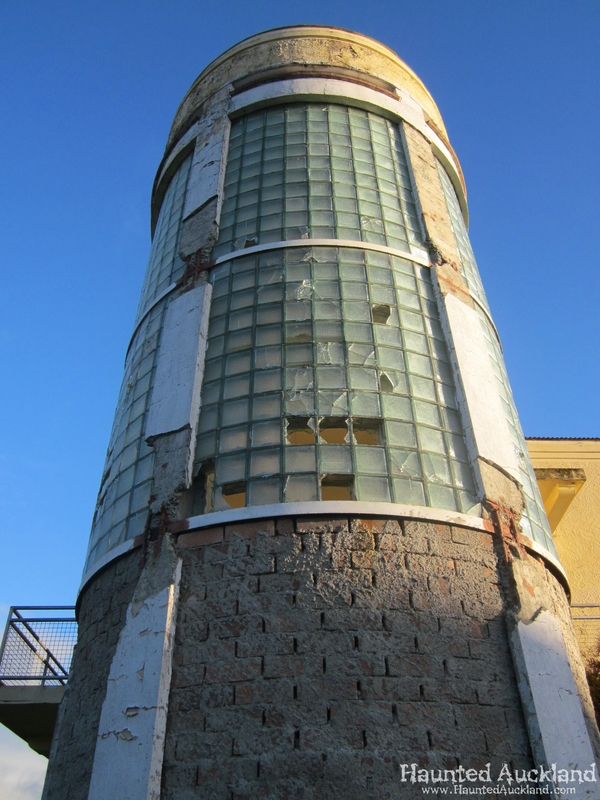 By 1895, the staff totalled 12. In 1909 a further ward built in brick was added. 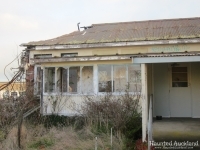 An infectious disease annex built a short distance from the main hospital building in 1919 was used until 1957, when it closed through lack of staff, re-opened again in 1962 as geriatric unit. 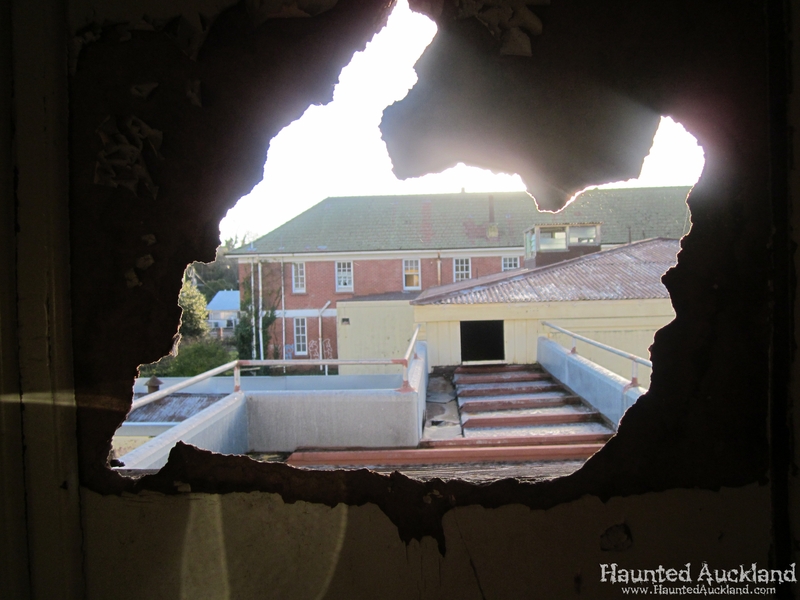 In 1926 the nurses’ home was built in brick. 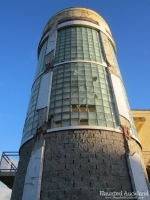 This was added to in 1942. 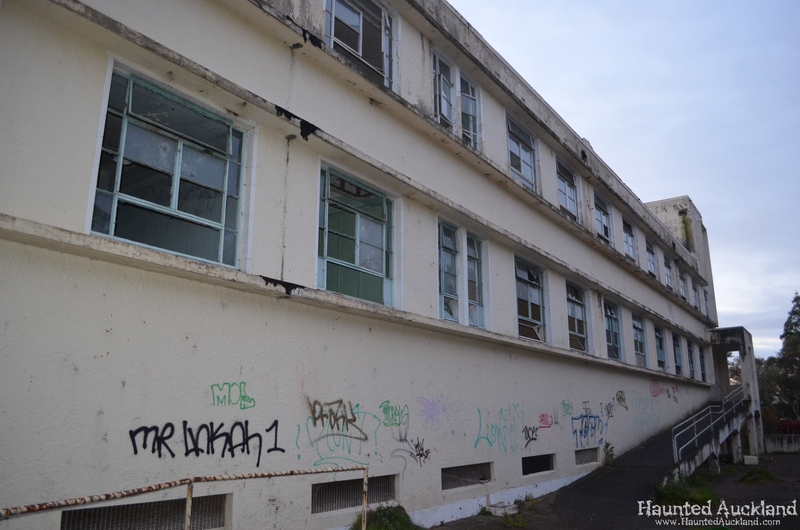 The main administration block was erected in 1927, allowing the old administration offices to be converted into extra children’s ward accommodation to supplement space being used in the original 1897 building. 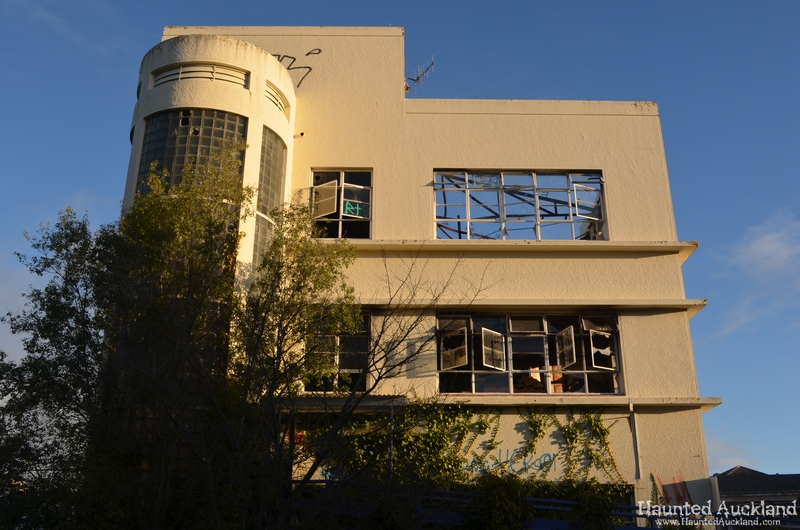 Major additions in 1935 were the medical administration and outpatients’ wing and a ‘modern’ operating theatre block on the southern side of the main corridor. 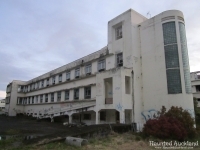 The medical administration and outpatients’ block was extended in 1942 and at the same time a new ward and clinics for x-ray and physiotherapy, plus a laboratory were constructed. 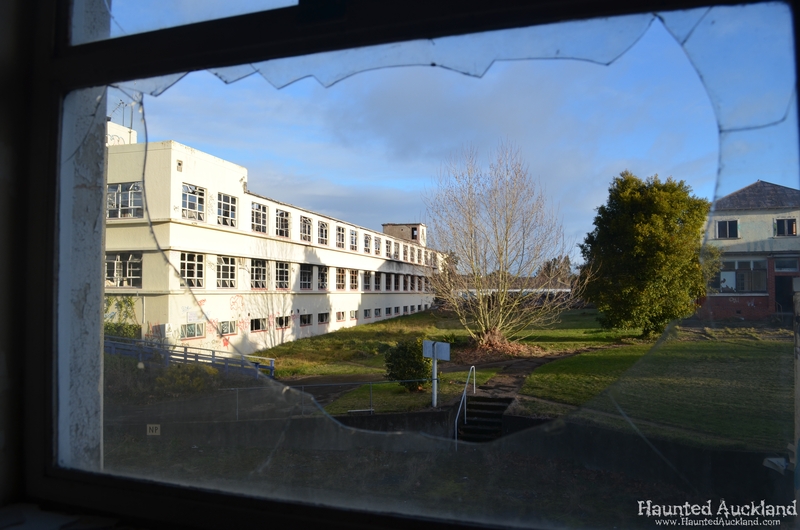 Building and re-building continued in the 1960s, with the completion of the administration block in 1961, the geriatric unit in 1962, a new ward block and mortuary in 1963, operating theatre in 1964 and additions to the maternity annexe in 1966. 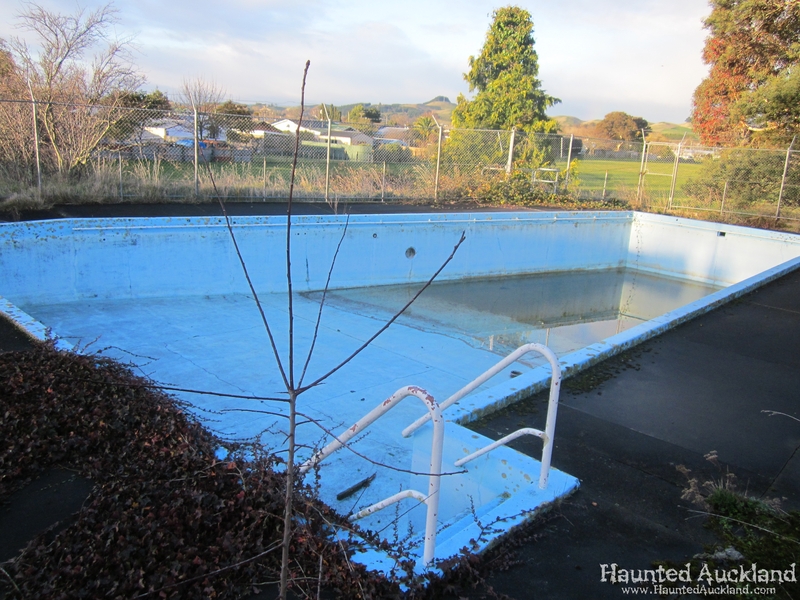 Voluntary contributions helped build a swimming pool for staff near the Nurses’ Home in 1964. 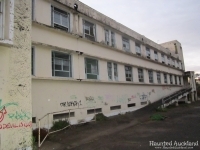 The hospital closed its doors in 1999. 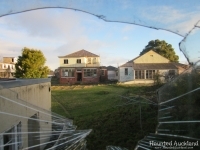 In 2011, an Aucklander, John Bieniowski, an engineer by trade, bought the 3.4ha site, when it was listed on auction website, Trade Me. 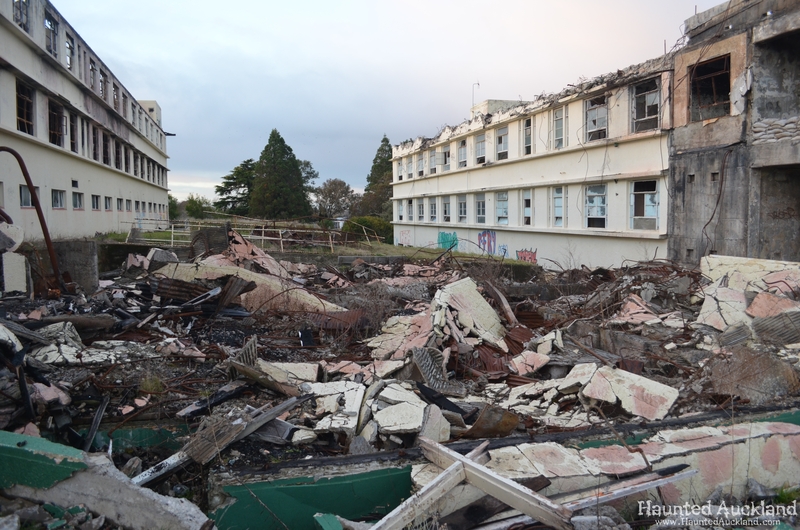 The man paid $180,000 for the fire-ravaged and derelict Waipukurau Hospital without seeing it and is now pondering what he has got himself into. 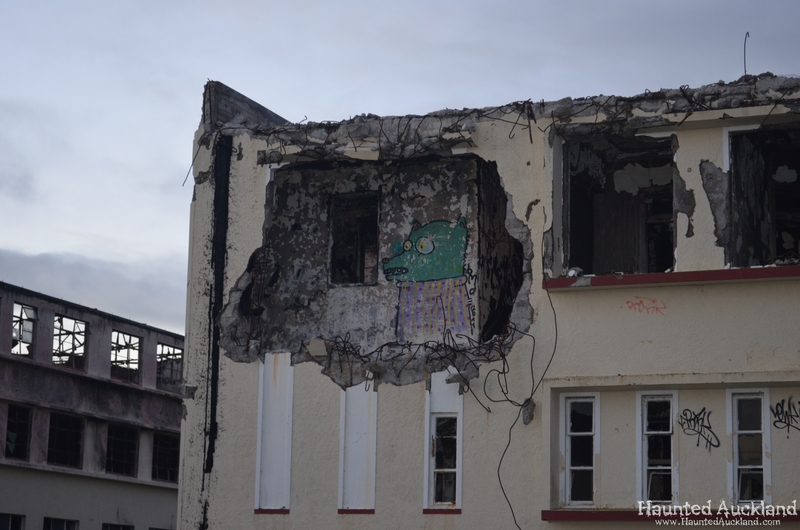 He did not realise just how damaged the buildings were. 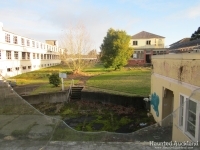 Mr Bieniowski bought the hospital from Auckland developer Jason Dempsey, who paid $200,000 for the site when the hospital closed in 1999. 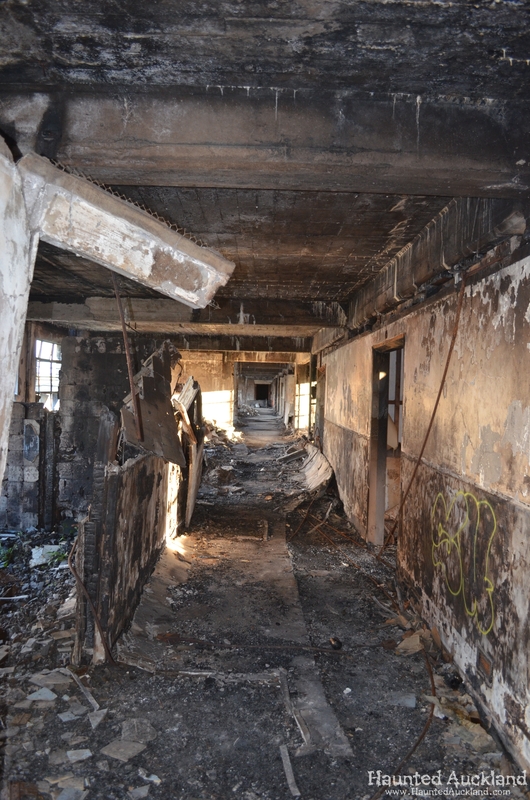 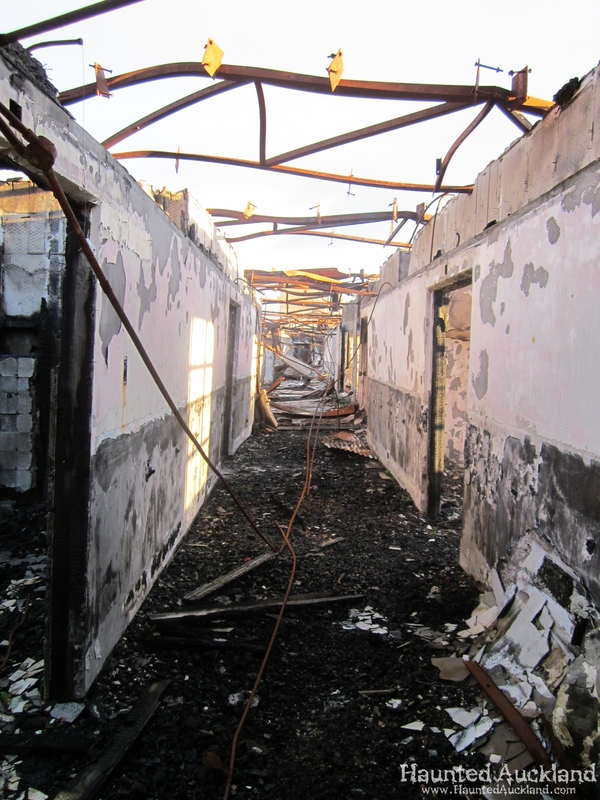 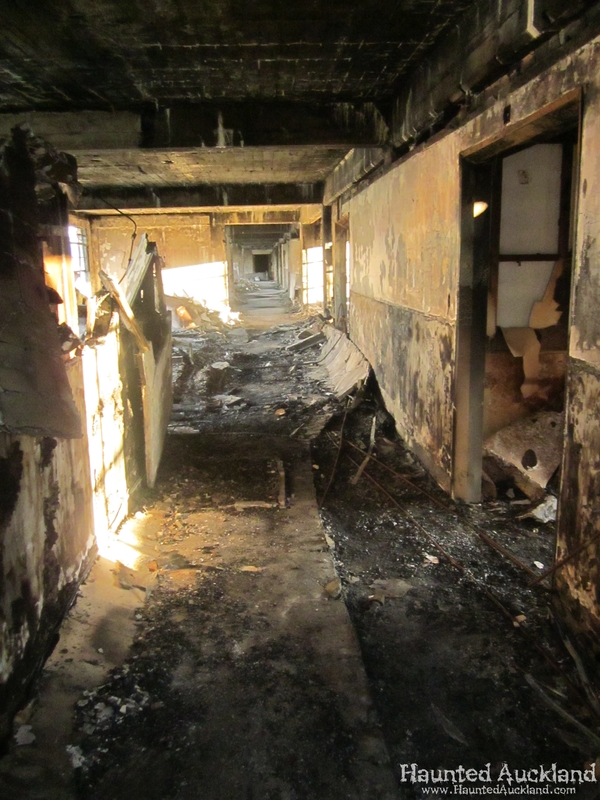 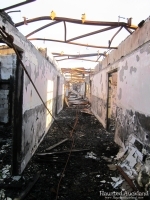 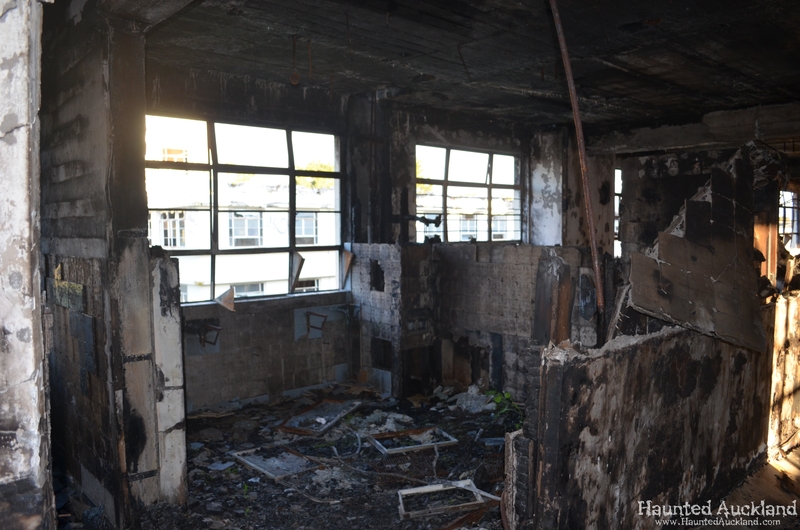 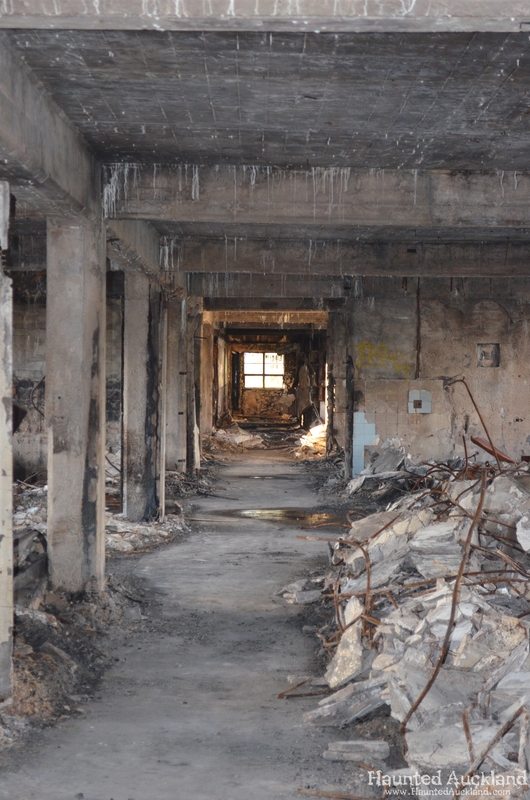 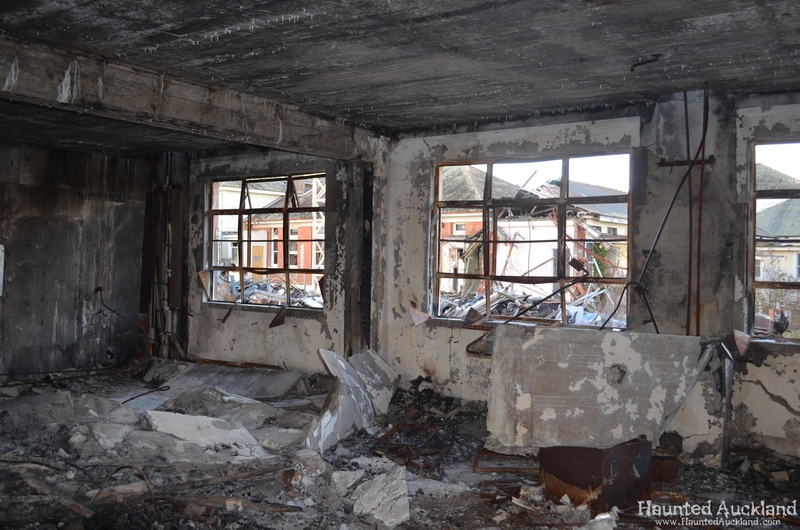 The main buildings, already stripped and wrecked by vandals, were gutted by fire in January last year. 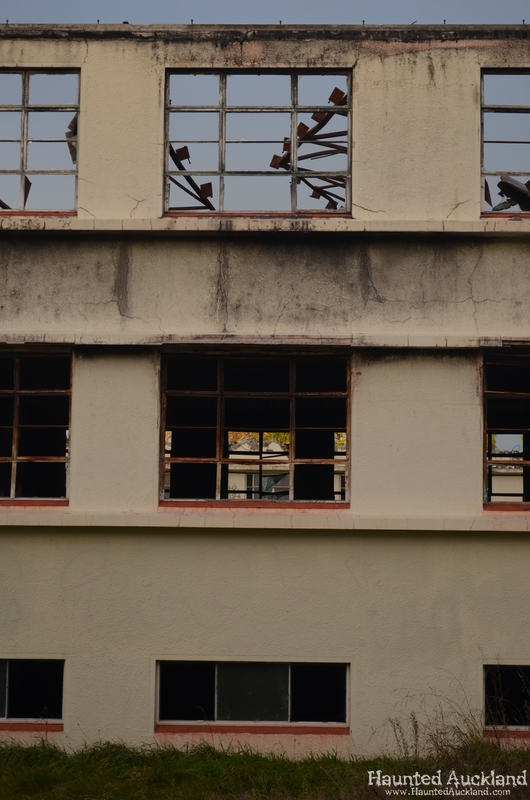 The buildings were not insured. 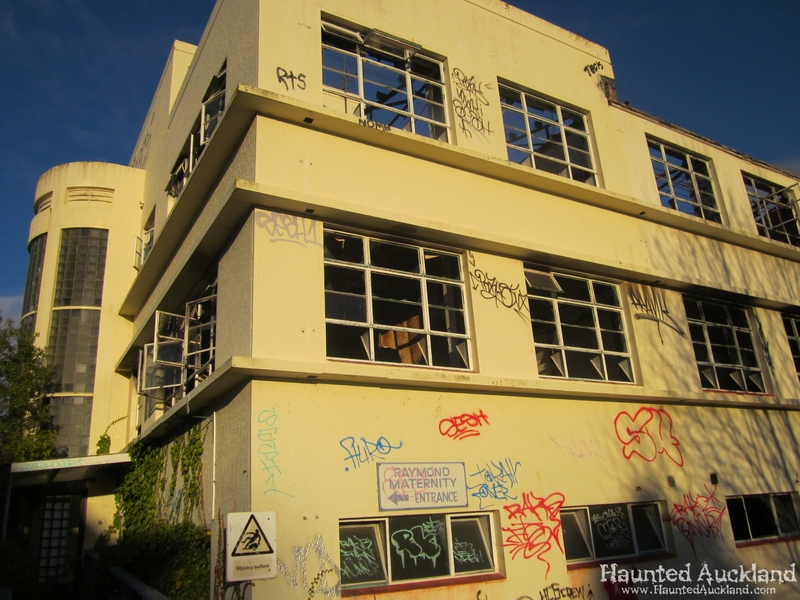 The future of this amazing place, is, as yet, undecided. 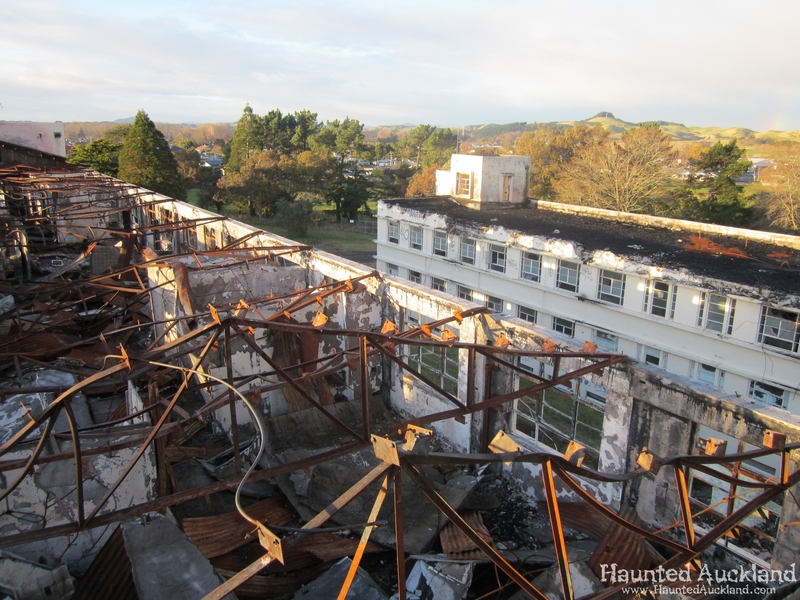 Haunted Auckland consider it a privilege to have been allowed entry on to the grounds to document the surroundings and bathe in the rich history drenched atmosphere of the mighty old Waipukurau Hospital. 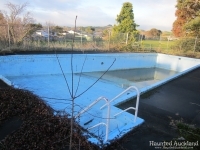 Pingback: The Crumbling Shire: 7 Abandoned Wonders of New Zealand | 42une Eeek!